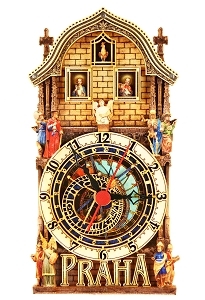 Wooden wall clock elaborated as a model of the upper parts of the Prague Astronomical Clock: the Astronomical Dial in the middle and the balcony with windows and sculptures on top. Genuine souvenir from Prague, making the best of the Prague's most visited sight. You can hang it on a wall or put it on a table. 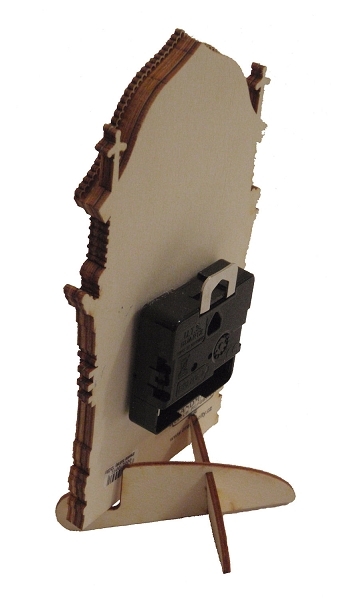 It comes with a simple detachable stand. 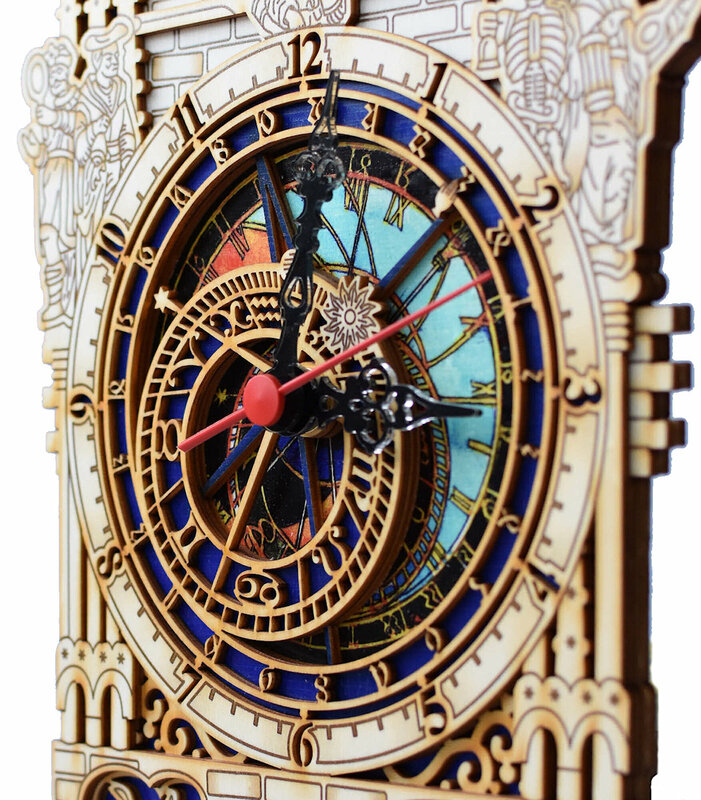 Equipped with silent electric watch engine. Includes one AA battery. Designed and made in the Czech Republic. 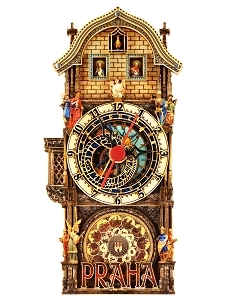 Elaborated in high detail, providing 3D view of the clock elements. - Size selection: width 11cm (4.4") and height 20cm (8") or width 19cm (7.6") and height 32cm (12.6"). - Color selection: black, blue. 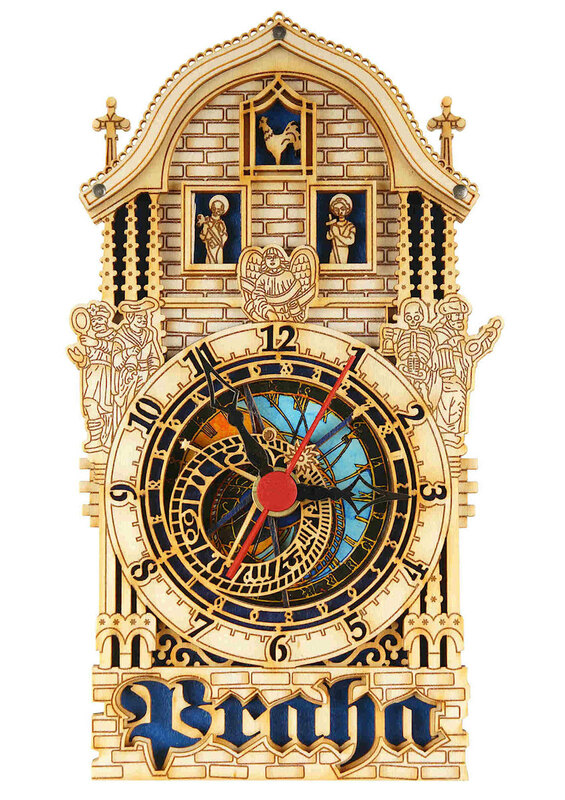 This Premium clock would make a nice corporate gift to participants of your event or tour in Prague.